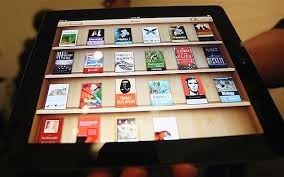 Consumer rights with respect of ebooks continue to be up in the air. Only last week, Sony, the prime driver for Adobe’s ACS4 adoption back in 2006 said that they were coming back into the Digital Rights Management (DRM) market. This week the Electronic Frontier Foundation announced they have commissioned the vocal DRM opponent, Cory Doctorow, to take on DRM technologies that they believe threaten security, privacy, and undermine public rights and innovation. The objective of their Apollo 1201 Project, is claimed to be "a mission to eradicate DRM in our lifetime." Named after the US Apollo space prograame which took some 10 years to achieve what on its creation was viewed by many as an impossible mission. What is certain is that the DRM that today inhibits consumers ability to transfer files between the various ‘walled gardens’, is going to either change radically, or be unilaterally be removed. It is hard to envisage what we have today as being sustainable over the next decade. The EFF mission goes past ebooks and is aimed at games, apps, video and all cases when DRM inhibits interoperability. However as we have argued many times DRM is not and should not be a binary decision, where DRM is either on or off. We should look hard at the whole issue not just one element and we look at opportunities as well as threats. One issue that must be addressed is provenance of ownership. In ebook terms look at this as an’ex libris’ stamp that can be traced back to the sale. It doesn’t have to be invisible and it may be open to abuse but if validated could revolutionise the ownership versus licence position and enable the first sale doctrine and resale of ebooks. This may be apporant to many in the trade but if watermarking soft DRM is not adopted then this door shuts whilst the stable door of DRM is potentially flung wide open. Some would say a very stupid situation. The resale of ebooks is currently being fought out in the Dutch courts where Tom Kabinet is being challenged by the Dutch trade. 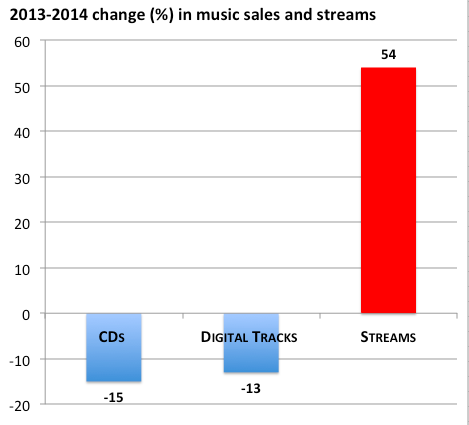 Tom Kabinet which to resell ebooks and offer a service similar to ReDigi is try to establish in the music market. The court has instructed Tom Kabinet to close temporarily as not all titles can be proven to have full provenance of ownership. So the courts may take a different position if such a position could be established. The door is half open to the trade to create an opportunity, or to blindly slam shut and rejoice in potentially a false victory. Judith Mariën, a Tom Kabinet’s founder, said that she believes that despite the court verdict, it is ‘good news’ in that the court ruled that the site’s basic business model is essentially legal. What is important that the trade start to think consumer, think service, think and avoid closed doctrine and protectionism for the sake of protectionism. Should the Underground Offer Commuters an eBook Library? 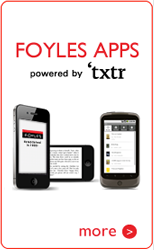 Imagine getting free access to an electronic library when travelling on the tube. 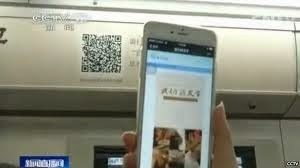 Well that is what travelers can now enjoy on Line 4 of the Beijing metro. The metro lines carriages feature barcodes which people can scan with their tablets or smartphones and this then enables them to select from a selection of books. Howeve,r there are some obvious challenges today. Firstly there is only a choice of ten books and these historical Chinese texts. This may be a novelty today and prove too restrictive for many tomorrow. Next, the books are planned to change every couple of months, which obviously gives anyone who starts close to the end of the cycle a reading challenge. Finally, the length of the texts is not clear, but if they were say the length of UK and US titles, it may prove uninviting to those who don’t commute every day, or whose journey is relatively short. Again it is unclear whether the books are downloaded or read online, so the question of offline, or off rail, reading is also unclear. However, if we ignore the questions raised and focus on the opportunity we can see the potential for others to adapt the proposition for other commuter communities in other cities. Imagine the highly successful London underground poems all being available to introduce many to poetry and give that daily food for thought. Imagine sample chapters being promoted by publishers to stimulate interest in their latest titles and not just the bestsellers. Imagine a new novel being introduced Dickens style by serialisation. Imagine a library linked to the city's public library, or the national library and allowing lending on the move to those that are entitled to the service. The question of whether it is a public or private or joint service is an intresting one but should not be a barrier to encouraging reading. The opportunities are not restricted by technology, as it exists today, but are only restricted by the vision and commitment to enabling travelers to enjoy reading. To see the ChineseBTV News Channel report (it’s in Chinese). Unlike that old question, ‘which came first, the chicken or the egg?’, we know the answer to which came first, the web site, or the app. But will this be the case in years to come and are we now starting to redefine the development process and presentation, not based on chronological order but on fast evolving mobile needs? The IBA have just published a survey they commissioned from Harris Poll, who collated the views of some 2,000 US adults in December 2014. The survey questions some of the conclusions made by an earlier comScore, which claimed that 88% of consumer mobile time is spent in apps, while some 12% is spent browsing the mobile web. The IBA findings identified that there were many variances between; search, shopping, news and local directory information activity and whilst users may have a preference in one activity they may have the opposite in another. There is then the web use that is in fact ‘web access hidden in app clothing’, where the app is merely a link to open web material. Is this an app preference, or a web preference? Finally, there were some interesting findings on how users find websites, with online search understandably scoring highly 54%, word of mouth 29% and social media 26%. However, the interesting question all is raises is on how we develop the user interface for tomorrow? We have an abundance of technology, applications, mobile technology and stakeholders. The question is how do we deploy this and maintain control, auditability and yet serve those both within and outside the organisation? Yesterday we built ERP empires that tried to encompass all users, all needs and all to one database, using one technology and one presentation. They worked for the internal user but lacked the external user interface and presentation. Importantly they tried to handle everything transactional, media and stuff and although business to business activity worked well they often failed to deliver to an ever growing consumer interface need. In many ways we now have a very diverse repository of information, transactions, content and context and stuff which we can liken to a house. We all look through different windows into the house we see different things according to the window we look through. The kitchen window will be different to the bedroom and that will be different to the bathroom and so on. Same house different perspectives. The trick is that we have just capture and process stuff once and store it once but use it many different ways. Yesterday we viewed a prototype app for a new service yet to be launched and were taken aback, not because it did something we didn’t expect, but because it presented it in a way we had never expected and one that broke the shackles of the old transactional application screens and the web ones too! We remember when we developed a new elibrary in 2006 and were impressed with how Adobe had presented their Digital Editions offer and adopted a similar look. How dated that now appears and this is not because of the web, but because of the demanding new mobile world, devices and the emergence of the app. The greatest challenge is not segmenting the different presentation needs, or ensuring that the centre serves all, but in segmenting the activities and views and deciding which takes precedent over the other. Does the dog wag the tail, or the tail the dog? Do developers share, or need to share common ground across all presentations? Do we deal with the transactional activity separate to the other activity? Do we build lots of apps, or one app with potentially many children? Do we build the app then worry about the other stuff. Or build the internal view then worry about the external one? Does the app presentation now impact and influence the other presentations? Have we gone past rows and columns and want animation and graphics? What is clear is that what we see today will be presented differently tomorrow and therefore the investment may have to be repeated as the environment in which it lives evolves. The smartphone is now starting to impact what we see, access and how we do things and this will surely now drive development and refine the balance between web and app access but app design will drive web design moving forward. All technology has a life cycle which starts with creation, through; prototyping, adoption, adaption, development and finally obsolescence. Some make the full cycle others stumble at first base. Today we read that the much publicised Google Glass eyewear technology is to be effectively pulled by Google in its present form. Future versions will be pursued, but by a different division and those who shelled out $1,500 (£990) will now be owners of the latest ‘Delorean’ technology, which obviously will now become a collectible novelty. The Glass initiative was launched in the US in 2013 and UK last year, but was plagued with a number of issues. The cost was viewed by many as too high, the battery life was poor and getting consumers to adopt it and drop those features they already had on their smartphones was proving hard. Maybe the look was just wrong and screamed ‘Nerd and Geek’ at everyone brave enough to don a pair. The other challenge was privacy and although they gave the user visual access to information in a ‘hands free environment’ they also recorded stuff ‘hands free’ which gave those running public places and those concerned with privacy, many concerns. So will the mass take up of wearable technology happen based on peripheral devices, or will a Pranev Mistry ‘sixth sense’ approach be based on smartphone hubs prevail? Why wear a smartwatch when you can project the time onto anything or see it on the smartphone? How will wearable glasses take a selfie? Voice and audio are already here today on every smartphone so that only leaves smell and touch. 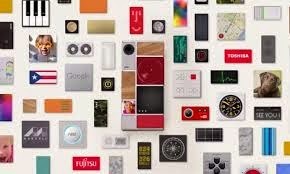 Google has dismantled the smartphone and are to introduced a modular phone which allows consumers to buy functionality in a firmware ‘pick and mix’ fashion. You want a camera you can select potentially one of a number of specifications and literally plug it onto the smartphone. You want different speakers, batteries, displays, application processor, wireless connectivity, blood-sugar monitors, laser pointers, pico projectors, they all just plug onto the phone and will be held into the shell by magnets. Its like selecting your firmware options and is aimed both at giving the consumer choice but also at making upgrading potentially very different. Google has chosen Puerto Rico to launch its modular offer. Puerto Rico was "mobile-first" with some 75% of its internet access being via mobile devices. There are also more than three million mobile phones in use in the country. Google also benefits as the country is under US Federal Communications Commission jurisdiction and this obviates any later issues getting a solution into the US market. 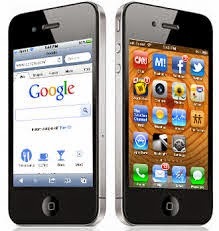 So the role of the smartphone is strengthened and ways to offer choice are now being developed. We can’t help wonder how much some would pay to have their own module for Prime users? 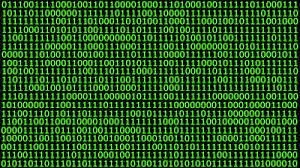 The buzz is currently is about big data, or collecting very granular consumer and transactional information and then being able to analyse it. The results may help spot trends, aid development, identify detail which was impossible to compute, or even recognise using traditional methods. As we gather more and more data, the trick is to exploit it in a ways that improve the product, enhance the consumer experience and increases revenues or profitability. It sounds simple, but it isn’t. The first challenge is to collect the data, the second is to be able to analyse what you probably don’t know, but assume you do, the third is to develop the results such that they make a return. Many companies have laboured over toolkits such as Google Analytics. Many have seen the money going out the door but not necessarily seen the return coming back in. Today it often seems that everyone and anyone who can spell IT and marketing are offering ways to analyse this, raise that and increase everything. Now Jellybooks claim to have cracked the analytics for ebooks on 3rd party apps with their new Reader Analytics, which allows book publishers to analyse how their customers read books across third party reading apps and devices. Jellybooks will be giving a sneak preview at Digital Book World next week, aimed at the publisher and utilises either their own invited focus groups and or Jellybooks’ own subscribers to analyse know users’ reading habits. Andrew Rhomberg, founder of Jellybooks describes the Reader Analytics as, ‘An ePub analytics tool for the smartphone, tablet, eReader generation that works offline and with 3rd party apps and aims to understand how consumers interact with ebooks that they buy through Kindle, iBooks, Kobo and the like.’ It effectively records the reader’s progress against a title, identifying when each new chapter is opened, the reader’s reading speed, the length of the reading sessions, the time of day when the title was read and when the book was abandoned or finished. However, this sort of analysis and level of information has long been available to some publishers. Whilst services providing online digital libraries, inspection copies attached to ecatalogues or synchronised walled garden environments have tracked every click. With the inspection copy they know not only what was inspected and shared with others, but importantly whether the copy was even opened. So what is different with the Jellybook offer? In accepting a free book and enrolling in a focus group, participating readers agree for their personal reading data to be analysed. There is both a potential strength and also a potential weakness. Firstly, like the consumers that agree to be on TV monitoring panels, it captures real users but in doing so we analyse the known, not the unknown. People who read books today are likely to read the book and will continue to read other books tomorrow. Those who are part time, or no time readers, will remain unhooked. Maybe the offer of a free ebook could entice new readers but will their habits be the same when they have to pay for the book? Some Marketeers will claim that focus groups often exist to reaffirm their presumptions and often don’t serve an independent perspective. Others believe that they are vital market testers. The problem is that it’s all too often, six of one and half a dozen of the other. The Jellybook book community which claims some 60,000 avid and passionate readers clearly offers more scope and can generate its own reading groups. But again does it pass the ‘is it wise dotcom test’? Trade books, which are going to be the majority of those within the scheme, tend to be one off works so offer marginal editorial improvement unless they are pre-press galley copies. However, simply adding more ‘editors’ to the mix surely could potentially dilute not enhance the work. On the other hand, the potential marketing input on the positioning the work could be of benefit, but only if there is suitable elasticity in the marketing budget to respond. There is the question of the exposure of the pool of pre-press books available and whether there is risk associated with opening this up to the Jellybook community to potentially see all new books on offer and how this would be policed such that these are all genuine independent readers and not potential competitors? It may matter little today but tomorrow will they potential have input to affect the final cut and if not why are they there? After publication the benefits in fictional work start to diminish as sales and money will speak louder and further titles within a series will be either contracted or down to performance to date. We remember when we provided a major academic publisher with a potentially huge data bank on every click made by every student and academic. This was across a significant digital library at both work and chapter level, as well as the same information against digital inspection copies. Needless to say they were interested in who didn’t open an inspection copy, but where less interested in discovering the digital needle in the haystack. Perhaps times have changed and one would expect and hope so within that market and some others too, but we feel trade fiction is different. 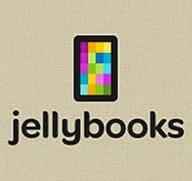 We wish Jellybooks well with their new service and it will be interesting to see how it develops and is adopted. 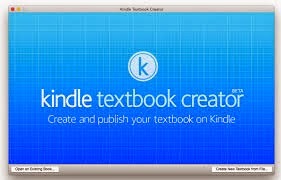 Here are more detail on the Jellybooks tool for authors, publishers and how to sign up. Somehow we think this may be a mistake! Bookshop Beacons Across The UK? Forrester Research claim consumers are using tablets in their living rooms (67%), bedrooms (60%) and even their kitchens (42%), but smartphones are used more on the go, including in the car (68%) and of course, in retail stores (68%). This presents smartphones with a real opportunities to use new beacon technology to give consumers access to a mass of information, such as prices and locations whilst they are in the street, store and on the move. Imagine walking down your High Street and you receive a message telling you the butcher you are about to pass has a special 3 for 2 joint offer today. Next you pass a clothes shop that immediately informs you that you could get a personal offer today on a similar shirt to that you bought last month. Then you pass a bookstore that informs you that your favourite author’s latest title is just in and is on special offer to you! Then you’re in a department store and approach a display which recognises you and tells you about what is on offer and send you a special voucher. Maybe you are at a bus stops, or looking at street adverts, or in a tube station and are directed towards a specific shop before you even go anywhere near it. Already some supermarkets and department stores are trailing this new beacon technology. UK Department store House of Fraser is trailing beacon-equipped mannequins in its Aberdeen store. Aloft Hotels are testing beacon technology, which will allow customers to unlock hotel doors after they check in and potentially remove the whole check-in process. The Crown Estate, which owns Regent Street, which includes retailers such as Hamleys, Longchamp, Burberry, Banana Republic, Hugo Boss and Anthropologie, will introduce the new smartphone application that takes advantage of the technology to deliver discounts, new-product promotions and other alerts to the smartphones of shoppers as they walk past stores and restaurants. Over 100 stores in Regent Street have already been fitted with the technology. UK retailer Waitrose is trailing the technology in their Swindon store. Finally, under pressure supermarket Tesco is aiming to use the technology improve customer service and personalization offering alerts on click-and-collect orders and enabling consumers to pinpoint the location of products on their shopping lists. Beacons are a low-cost, micro location based technology, which utilises Bluetooth technology to communicate between smartphone apps and beacons. The technology can also provide retailers with invaluable data about their customers’ shopping habits as well as the activity of their staff. This information can improve store layouts, flow as well as promote products and offers. 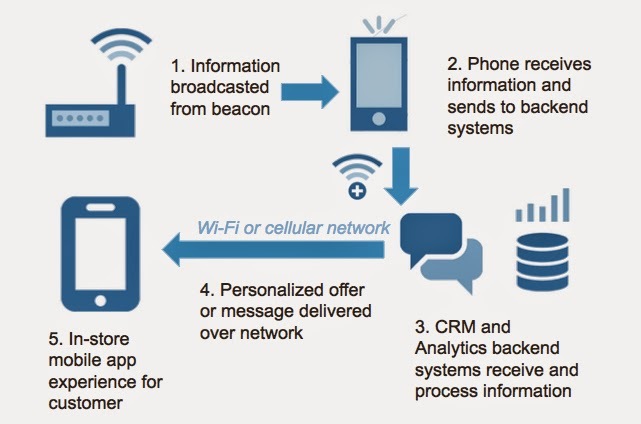 The Beacon technology appears now poised to surpass and deliver what many thought would be achieved via near field communication (NFC) technology. However, before we all run out to install beacons, retailers need customers who want to use them and trust that their personal information is secure. The customers have to first download and install a smartphone app and there is the issue of how many apps a consumer needs. While customers may be happy to download an app for a couple of retailers, they might not want to download an app for every shop they visit. This may be overcome by retailers integrating their technology with common popular third-party shopping apps such as PayPal or PriceChecker. So will we see a UK Bookseller Association app and beacons switched on for business in independent and BA member shops across the UK? This would be a novel way to promote the local book store and its titles and offers. Not as independents but as part of a national book group and even offer opportunities to further integrate other customer services. They could even sell ad space to publishers and authors to contribute towards it. However it is more likely that we shall see large stores such as WHS, Waterstones, The Works adopt the technology whilst the independents sit on their hands or look around for a technology partner to do it for them. Celebrities have always influenced what people read, listened to and watched and we have many book examples such as Oprah in the US and to a lesser extent Richard and Judy in the UK. Now Facebook founder and CEO, Mark Zuckerberg has stated his intent to not only read a book every two weeks, but to invite everyone to share the experience with him on Facebook. He has already launched a dedicated Facebook page called ‘A year of books’ and within the first 24 hours it has been liked by over 62,000 people. The billionaire is known for his New Year's Resolutions and determination to accomplish his goals, which was conveyed in him not only learning Mandarin, but going to China to give a speech in it and promote Facebook in China. Zuckerberg says, ‘Please only participate in the discussions if you've actually read the books and have relevant points to add. The group will be moderated to keep it focused.’ This itself could result in some 26 best sellers this coming year and ironically create more of a reading stir than any World Book Day. 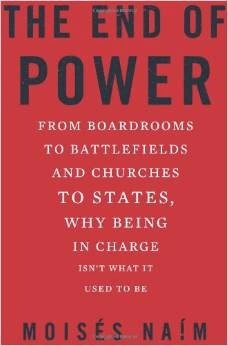 His first read ‘The End of Power’ by Moisés Naím, was published in 2013 and is a 300 page work on the changing nature of leadership today. Already the paperback appears temporarily out of stock in Amazon.com. The big question is whether this is a whim or a strategic business move. It could catapult Facebook into the leading social reading position, but will they want a cut from their ‘halo’ effect? Will they want to sell direct and create their own retail proposition? Is it about creating an active reading community that they can mine in many ways to make money? Will the community expand past Zuckerberg’s reading list or be solely focused on it? Will Zuckerberg’s taste be restricted and prove unappealing, or be widened, or even bought by the highest bidder? Perhaps it is just a new Year’s resolution, that if it works will continue past 2015 and if it doesn’t, will be like many other resolutions and be lost to history. 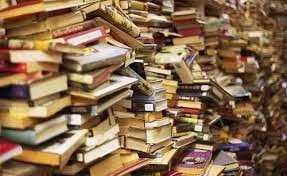 What happens when the amount of books available to read exceeds the market’s ability to read them! We have always struggled with more books than buyers. The economics of market forces has always prevailed, choking back on production, shrinking shelf space and reducing the rewards to those who aspire to make fame and fortune from their writing. It was simple when we only had the physical book. The market was controlled by the shelf space available, the cost of the inventory and the rate of purchases. We still produced more titles and units than could be purchased, but for those who back the right works the rewards were significant and for those with excess inventory there was always the ability to trade this through. Importantly the sales were steady and although unpredictable at title level, they were more predictable at market level. The supply chain was inefficient, but worked and publishers wallpapered stores with their sale or return approach to merchandising. Some aspects still remain, but those heydays are long gone. Many blame the demise of the Net Book Agreement in the UK and the resultant discount wars. The truth is far more complex and one element alone drove the result. The arrival of the Internet resulted in the virtual shelf and inventory. No longer was shelf space an issue, as warehouse space, distance shopping and customer service prevailed. The back list vied on equal terms with front list and the mid list often found itself squeezed. Those mail order players who were in the market should have won this battle, but were wedded to yesterday, did not understand the new parameters and importantly did not understand virtual inventory and changing consumer demands. The retailers struggled to get the right people and often treated the internet as an adjunct and not an integral part of their business. Amazon won and became a category killer and although some shoots of new business have appeared, the ecommerce game is firmly controlled from Seattle. The digital book should have been the opportunity to address the ground given away to Amazon, but the market lacked the commitment and ability to work together. It stumbled from one white knight to another, as if it was punch drunk and desperate to hold on to anything that offered anything. We had Sony who promised much but understood little, Google who came to ingest all and were courted, fought and allowed to offer not one but two poor settlements and finally by Apple, who only wanted business on their terms. Some such as Nook and Kobo were spawned from existing players, but these and others lacked the technology clout, investment and global presence to succeed. However, the biggest change that digital introduced was to lower the barriers to publishing, not only allowing anybody to publish anything, but also giving them channels and virtual shells on which to display their works next to more traditional published works. Suddenly we were awash with books, physical and digital. Self publishing was no longer to be dismissed and looked down on. We were no longer just over producing new books, but effectively bringing back every book ever published, but the consumers were still only buying the same number of books. They may buy more to fill their physical shelves, but why should they buy more to fill a virtual shelf? The purchase model then came under a new threat – subscription and on demand reading. It was working in music and film so why not in books? 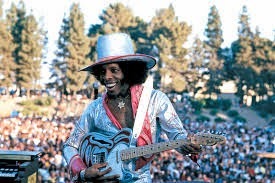 We have to look at music more closely to understand the other changes that had taken place over the same period; the switch from album to single, the migration from physical form to full digital, the high bandwidth and availability of the internet, streaming technology, and the desire to listen on the move. Film is no different and has had many different pressures which make subscription viable. We now even have the new EU regulations which have resulted in Apple introducing, a no quibble, 14 day return policy. Some will suggest a ‘read for free’ policy. The new EU and Japanese consumption tax changes may result in ebooks costing more, but the extra money goes not to the creators, but to the governments. Both these initiatives will hurt creators’ pockets and may drive more to publish themselves. So the facts are that we have a glut of content and in the physical world even greater disparity between the successful and the others. In the digital world we have a dominant channel which has understood the overall business, its value chain and targeted elements overlooked by others and integrated them into their offer. The market is no longer controlled by a handful of publishers but by Seattle and yet we continue to stumble forward with more of the same. If we have too many books we can no longer rely on natural selection. The market isn’t suddenly going to grow and will continue to flatline. There will be increasing pressure to try something new such as subscription. However, what we are failing to address is the difference between physical and digital. We are failing to create digital content for consumers on the move. We are failing to look inside and see what’s in the locker already and instead we continue to publish the same and expect that a miracle will happen all by itself. Time is the clue to the market opportunity. We could never understand why Amazon allowed ebooks to be returned and found it very frustrating when every month one always appeared in the Kindle reports. Was it a lost sale? Did they not read what the work was about and returned it as rejected? Did they just not like it and returned it unwanted? 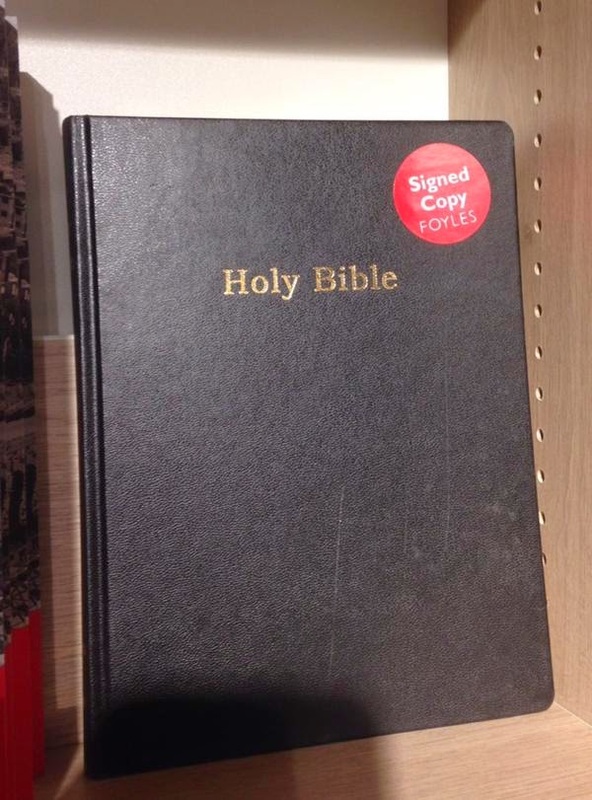 Did they read it and then returned it for their money back on a free read? We will never know as Amazon doesn’t say. Now just to raise the questions further Apple has just started to allow European users of their iTunes stores to “return” goods without giving a reason. This may bring Apple in line with EU regulations passed in June which mandate online sellers to offer a “right of withdrawal” from distance sales. It is not in the interest of authors, publishers and even Apple. The regulations stipulate that customers may withdraw from an off-premises contract with 14 days of purchase without giving any reason. The previous position was on a case by case basis and geared towards issues where the file had failed to download. This sensible approach still prevails outside the EU, but inside we appear to be in the grip and influence of some misguided mandarins in Brussels who understand little and take bold and misguided leaps into the dark.